I’ve always struggled with buying gifts for people who have everything. We all have at least one of these people on our lists! This gift guide will help you get ideas for what to get someone who has everything. As I was putting together my list of gift guides, I was thinking through all the different people on my holiday shopping list and something I always struggle with buying gifts for people who have everything. We all have at least one of those people on our lists, right? Maybe it’s your Grandma with a houseful of knick-knacks, or your husband that buys everything he needs for himself and or your sister-in-law who lives in a foreign country (I’ve got all of the above). 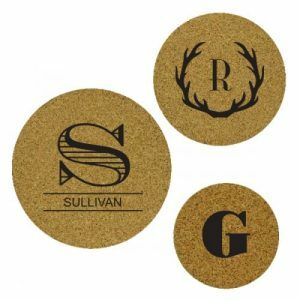 This gifts for people who have everything post contains affiliate links, but nothing that I wouldn’t wholeheartedly recommend anyway! Read my full disclosure here. Here’s tons of ideas of gifts for people who have everything! 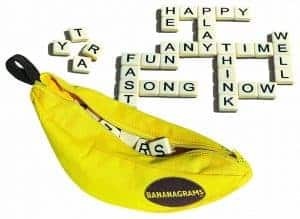 If you’ve never played Bananagrams, you’re seriously missing out! It is similar to Scrabble, but like speed Scrabble. One of the best parts of this game is that there is no game board or big box to figure out where to store.. aka perfect idea for what to get someone who has everything. 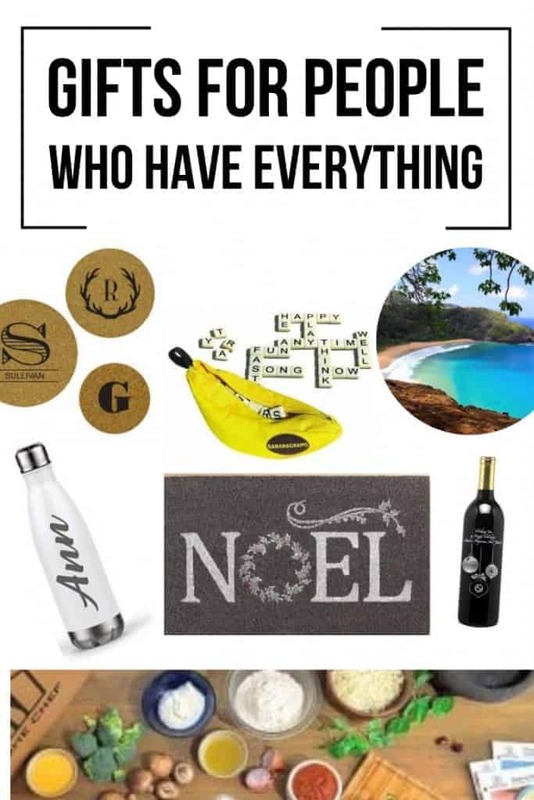 I heard about this awesome company and concept in a Facebook group that I belong to and I instantly thought of this guide of gifts for people who have everything. The concept is simple: you buy a charity gift card for someone you care about and they spend the gift card on a charity of their choosing. How awesome is that?! I love this idea as a way to not clutter someone else’s house up with more stuff. Also as an added perk, buying the gift card is tax-deductible. Everyone loves a water bottle, right? 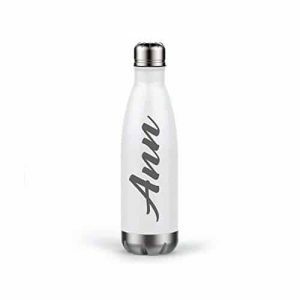 This personalized BPA-free stainless steel water bottle is a perfect stocking stuffer idea. A subscription box is a great idea for what to get for someone who has everything. There are so many different options out there nowadays! 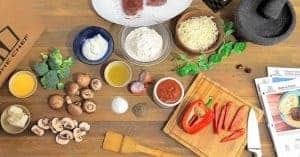 There’s meal subscription boxes like Home Chef and Blue Apron, jewelry subscription boxes like RocksBox and clothing subscription services like Stitch Fix and even kid activity boxes like M is for Monster. Most subscriptions allow you to buy just one month if you want to gift just one box or you could really splurge and buy multiple months or the whole year! Festive gifts are one of my go-to’s but for gifts for people who have everything… they probably have their fair share of holiday decorations, right? 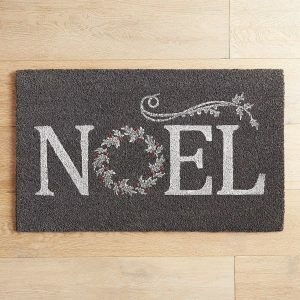 A doormat is one thing that may get overlooked while you’re decorating and it can really add so much character and holiday charm! If they already have a holiday doormat, chances are they have more than one door so it can be used elsewhere! I love this one that says Noel. 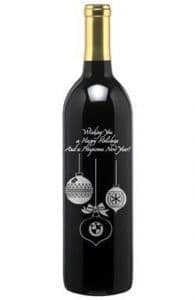 Wine is a very standard and simple holiday gift for people who have everything, but with EtchedWine.com you can take a one step further and get the bottle etched and personalized. They have tons of the different designs to choose from. These personalized hot pads are awesome. They have three different sizes available and tons of designs to choose from! Isn’t this just the cutest? Everyone that has everything needs a pen garden! 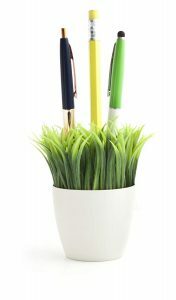 You can keep your desk organized and tidy with this fun little pen holder. You could also use it for craft supplies or make up brushes. Speaking of cute… oh.my.goodness. 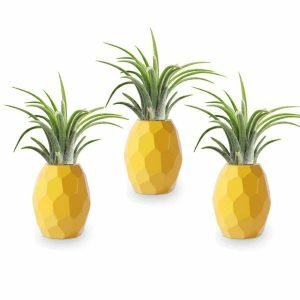 This set of three pineapple magnet planters are the most adorable little gifts. They are perfect for air plants or tiny succulents or even a fake little clipping of something fun (because let’s face it, I kill most of the plants I buy). I think of the best gifts for people who have everything (and ANYONE really) is to gift a memory. Whether it be something big like a tropical trip or something small like tickets to the museum for the day, the best gifts are ones that you will make memories enjoying together. 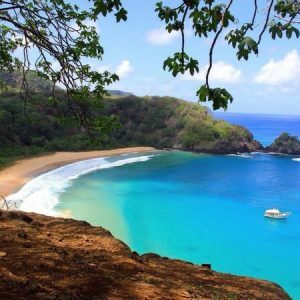 Check out Trip Advisor’s Best of 2018 (voted on by travelers) for some great ideas. This functional, but also adorable, gift is perfect for the holidays. Even better if you’re gifting someone a bottle of wine for Christmas! I pretty much fall in love with anything mini sized, don’t you? 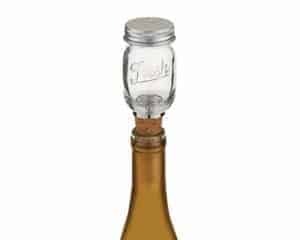 A mini mason jar, yes please. Buying gifts for people who have everything are tough! Did you get any good ideas of what to buy for someone who has everything? I hope this gift guide will make your holiday shopping a little easier this year! Get more ideas of what to buy for someone who has everything from Amazon! Subscribe & don’t miss a thing! I'm Chelsea and he's Logan. And we are so glad you're here! 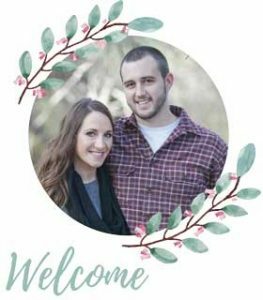 We’ve found that many couples don't know how to start renovating their homes, which is why our passion is teaching others how to make their house a home they love - one DIY at a time. At Making Manzanita, you'll find step-by-step home improvement tutorials and design inspiration. Are you new here? Read this first! Subscribe to receive Mondays with Manzanita newsletter and access to exclusive content and free printables. Subscribe to weekly newsletter and access to exclusive content!